Image via Fat Mum Slim. Last week my friend Chantelle from Fat Mum Slim (as if you don’t know her!) released a new project she has been working on in collaboration with her friend Emma Kate. They had an idea to create pretty and striking postcards to encourage us folk to bring back snail mail. And so Scatter Love was born. 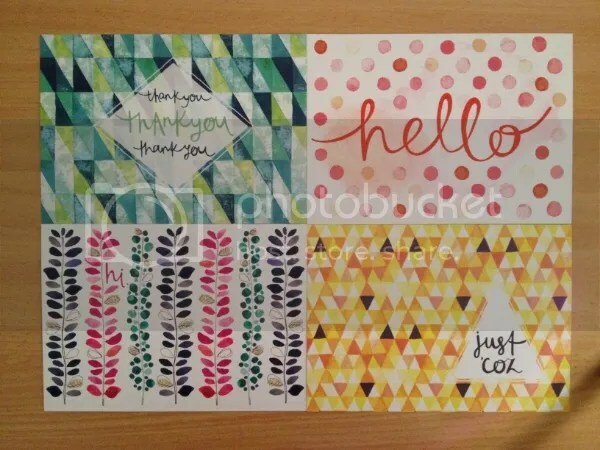 Sold in packs of 10 and priced at $16, you will fall in love with this set of postcards. I’m a sucker for stationary, beautiful designs, and snail mail (I’m old fashioned) so I snapped up a pack for myself on the first day they were released. I want to Scatter Love to my friends, family and even random strangers. In fact, I’m going to dedicate one of these cards to someone I don’t know. Is that odd? Everyone deserves something to make them smile though. I already have a list of people to send a card… who would you send one and what would you write? And just quietly, I also want to buy myself another pack just for myself because they’re so fricken pretty! 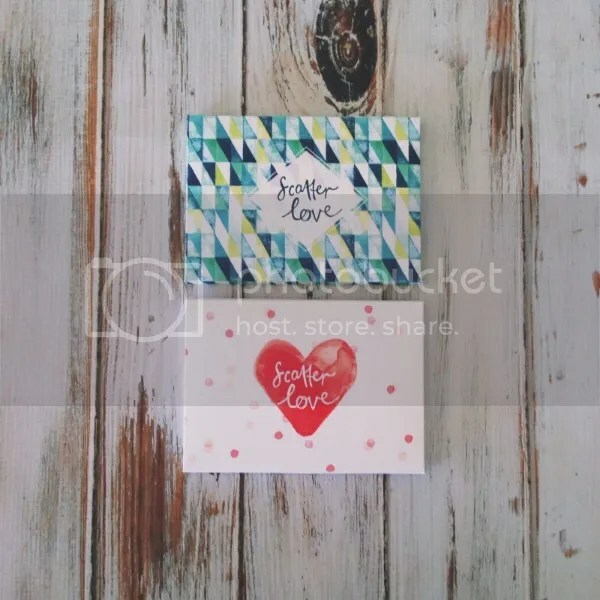 You can read more about the Scatter Love Project here or shop the cards here. FMS Gift Exchange – I Love Christmas! Fat Mum Slim (you know, the Photo A Day phenomenon) is doing a Gift Exchange again this year. It’s basically Secret Santa/Kris Kringle. I’ve done a few of these before, both in person and online. Sometimes it fails – last year my online KK didn’t send me a gift… or it got lost in the mail. Either way I was left without that present under my tree, but it was okay in the end because the real gift is GIVING. Have I made you snort yet? I even make myself sick sometimes 😉 It’s true though, there are many studies that have proven how awesome giving makes you feel. It’s good for your health! This year, I’m playing elf and helping Chantelle out with the admin side. There’s going to be over 300 people playing along from all over the world so it’s only sane for her to enlist some help. Today is the cut off for signing up to play. You need to be active (and public!) on Instagram and preferably have a blog as well. Read the details and sign up here. Come on and play with us, weather you’ve been naughty or nice!